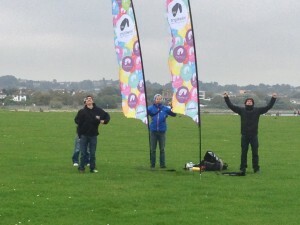 On 24th and 25th October 2012 KiteRight with support from the BKSA and local school Easyriders made worldwide history. True to its objectives of opening up the sport to people with physical, mental health and learning challenges the first KiteRight course had participants with Post Traumatic Stress Disorder (PTSD), Bi-Polar disorder (manic depression) and two paraplegic course members (Jenny Ridley and Sean Rose). 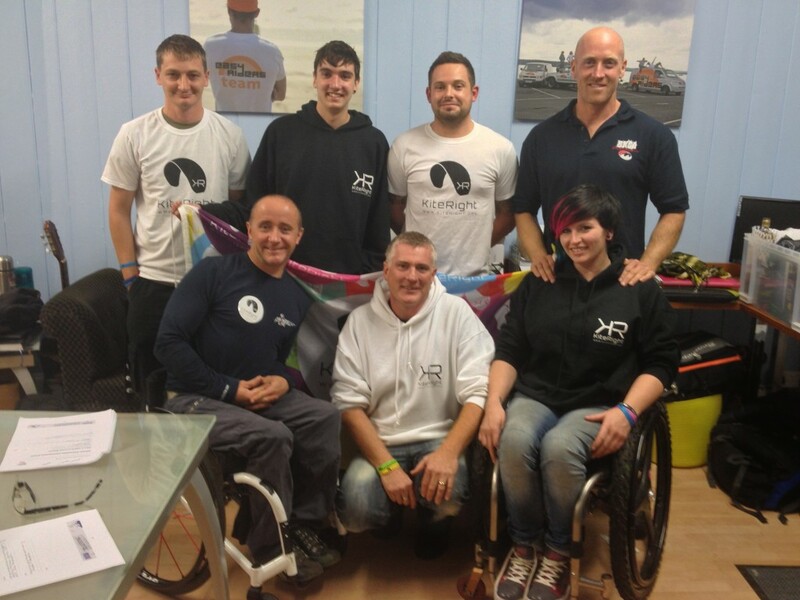 Other members of the team were Rhys Chandler, Johnathan Speeden, Dean Emery and Gary Hawkins. The course was facilitated by BKSA examiner Dom Moore who’s humour, knowledge and sensitivity made the course informative and fun. KiteRight hopes to maintain strong links with Dom over the years to come. A powerkite instructor course involves theory and a large component of practical work to ensure instructors are able to run lessons to a nationally agreed safe standard. 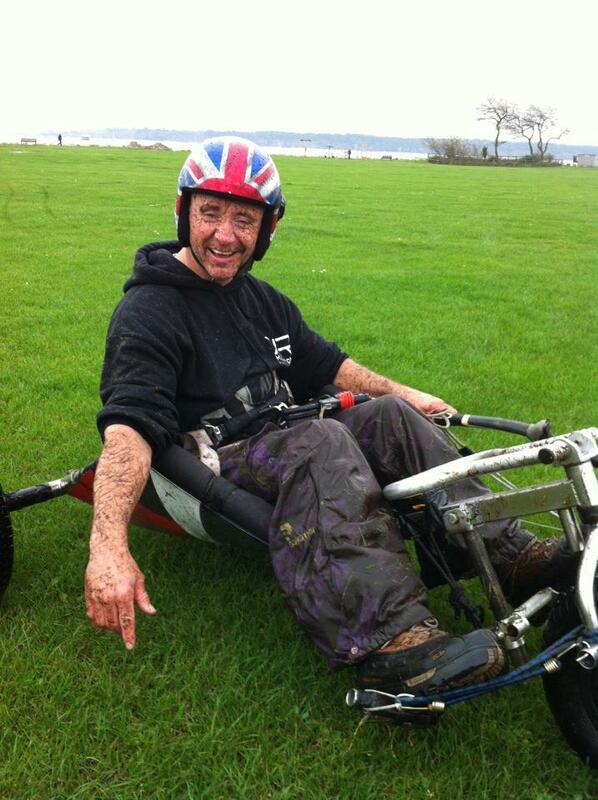 The weather facing the group was good however recent heavy rain had left the surface of the local park wet and very slippy under foot / wheel increasing the challenges of the students to demonstrate the full range of skills and safety requirements. For the two in wheelchairs this could have posed extra challenges. However, every course member showed their skills and knowledge over the two days with Sean and Jenny showing how being in a wheelchair puts no limitations on their ability or skills. The “wheelies” as they call themselves were able to perform every task within the syllabus without assistance. I will still always remember Sean and Jenny showing their skills at chair-kiting and their required mastery of balance that I am sure none of us would be able to achieve easily. 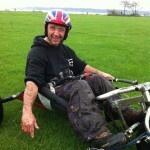 It was also the first time I have seen anyone powerslide a wheelchair across a field in perfect control!! The course proved to be a learning curve for all concerned and this learning and adaptation will continue over the coming years, and like all forms of change may lead challenges and hurdles along the way. Keep an eye out for the full Instructor course album to follow shortly! KiteRight will be at the forefront of this national and international change and we have some exciting and ambitious plans. 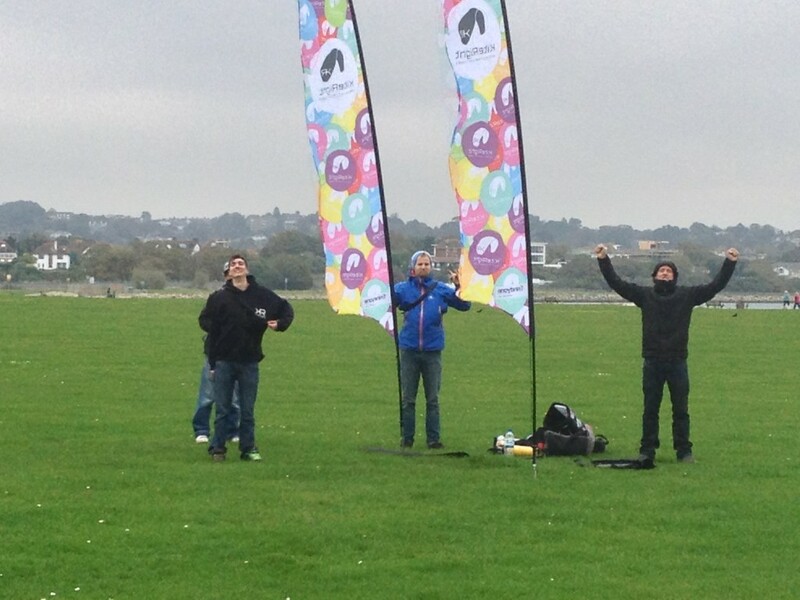 Powerkiting is just the start and next year we will move onto buggys and kitesurfing. 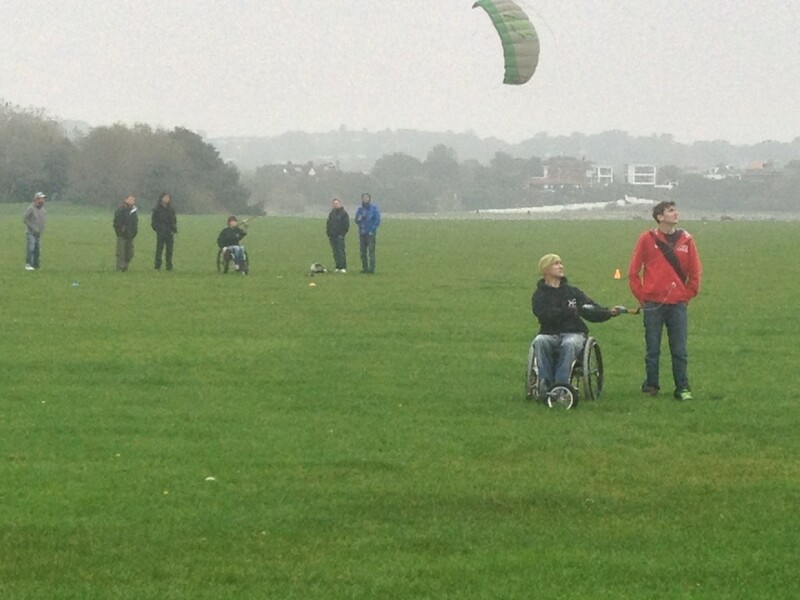 There is no reason we cant see kitesurfing in the Paralympics in years to come, just watch this space. Want to be part of this challenging journey? Fill out a volunteer form on the KiteRight website (No matter what your area of skill or expertise) or donate or fund-raise to help our dreams become a reality. 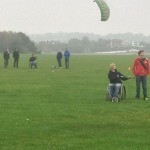 This entry was posted in Kiting Experience and tagged BKSA, disability, featured, KiteRight, paraplegic, power kites, PTSD, therapy, wheelchair.